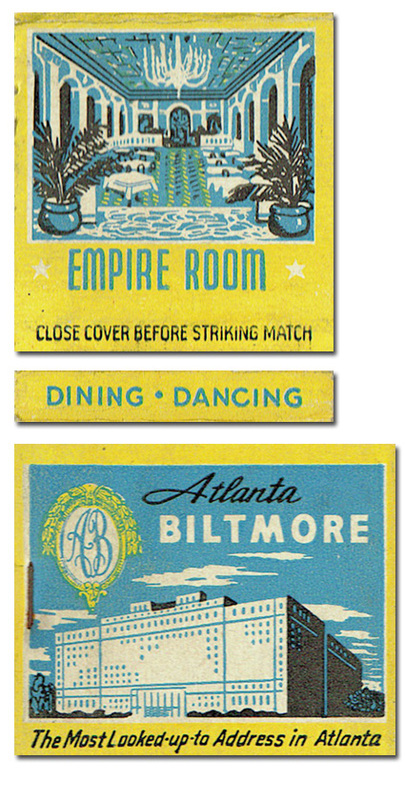 Opening on April 19, 1924, the 11-story hotel and 10-story apartment buildings were located somewhat away from downtown Atlanta, in an area that became known as Midtown. Wonder if that hurt business in the 30s. Can't have helped. It finally went bust in the 90s, and after the usual fits and starts was converted to office space and condos.